Thanks to SB295, which is set for a vote in the State Senate this week, that’s about to be a reality. Online registration is not online voting. But online registrion will make your voting experience more efficient. enrolling the state into the Electronic Registration Information Center, or ERIC. ERIC is a non-profit organization run by a collection of 17 member states to share voter data securely. Although Wisconsin will continue to run it’s elections and manage its poll lists, joining this consortium will make future efforts of detecting fraud easier. It will make purging dead and newly-moved individuals off of the poll lists more efficient and routine. As a bonus, it should make Election Days run smoother, too. Moreover, the Special Registration Deputies will become a thing of the past. Wisconsin is the only state that allows SRDs to verify proof of residency during the voter registration process. That’s a recipe for fraud and an invitation for outside groups to merely use the voter registration process to build membership lists for their own organizations. They will be replaced by Electronic Registration Officials. These EROs will be able to register electors for in-person absentee voting, on election day at polling stations, and in nursing homes. But, the hodgepodge of paper voter registration forms flooding the system, having only been ‘validated’ by activist SRDs, will be history. Photo identification requirements passed by an earlier legislature (and subsequently affirmed by several courts) ensure that voters are who they say they are when casting their ballots. 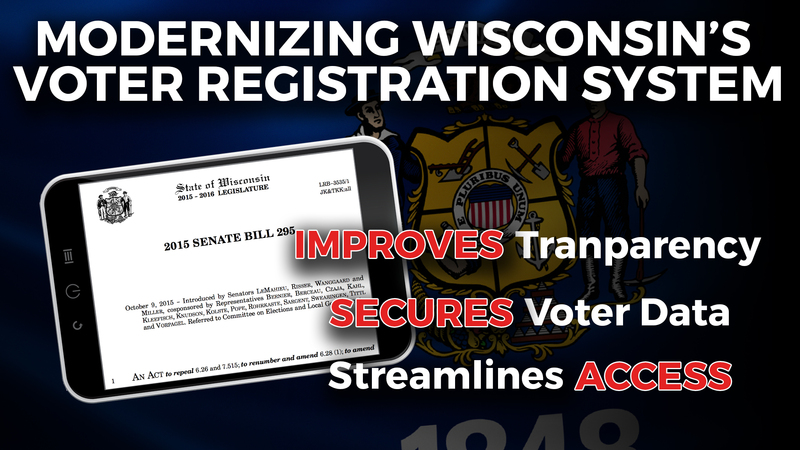 SB295 takes this reform back to the moment individuals register to vote, too. The downside, in my opinion, is that these changes won’t go into effect until the 2017 Spring Election. I wish lawmakers had placed a bigger priority on modernizing and securing the voter registration process here and had moved on this legislation last year. Nevertheless, Kudos to Senator LeMahieu and his colleagues for getting this done before the abrupt end of session later this month. As a municipal clerk, I’m overjoyed to see SRDs gone. I once had to train Martha Lanning (Dem Party Chair) to be an SRD (HAD TO, in accordance with state law) so she could register college students in my municipality. We should have gone a step further with registrations and made it illegal for anyone other than a sworn municipal official, i.e., elected or appointed Clerks or their deputies, to facilitate the registration of voters. Why were only a Wisconsin drivers license or a state I D the only forms of acceptable identification adopted for electronic registration. This creates problems for the elderly who no longer drive. Students who have a valid college I D but no Wisconsin drivers license . What about people who have moved to a new address but their drivers license still has their old address? Sure seems like this is going to make registration far more restrictive and a lot of people who are eligible to vote will be denied a ballot. One would have thought that the bill should have included all of the same forms of I D that allow you to vote, to be used to allow you to register to vote. This doesn’t smell right!!!!! You need to prove you are who you say you are when you get your ballot. You should have to do the same to get on the voter roll in the first place. 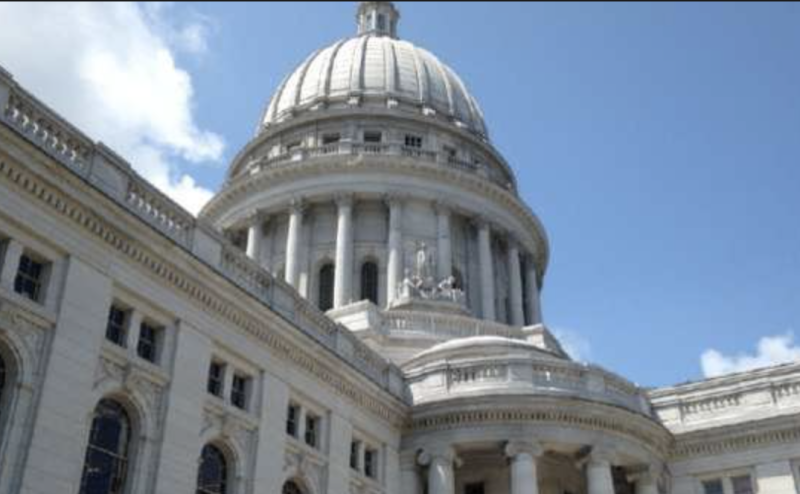 Wisconsin goes to extraordinary measures to allow free identification cards for those who do not drive. If you do drive, you are required to update your license, whether or not you use it to vote. Drivers license databases are routinely updated, and could eventually be used to identify possible dual state registrants. More than a dozen states, some traditionally liberal, others conservative, are joining this consortium to securely manage this data. This modernization will also speed up the voting process on Election Day. Reducing waiting times helps with voter turnout.